Yuxiang is a processing base for granite and marble production, equipped with stone processing equipment imported from Italy, covers an area of about 120000m², having more than 300 employees, among whom more than 30 are superior management personnel Company’s advanced management, super design ideology, excellent service, good product quality are our key way to in exploiting global market. Yuxiang company import stone slab production line from Italy, 2 sets of full automatic polishing machine, 4 sets of full automatic slab cutting machine, 4 sets of big gangsaw, 22 sets of arm-styled manual polishing machine, edge profile machine and carving machine etc. In a word, the enterprise pays much attention to introducing advanced equipment, adopting top techniques from other countries, and the production are carried out strictly according to ISO9001-2000 international quality standard. 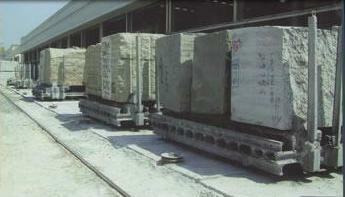 Product range: processed granite tile, marble tile etc. Also, we are engaged in quarry exploit. Our products are exported to countries all over the world and are widely used in big scale projects, winning good comments from customers. The company has a top technician team ready to serve a wide variety of installation and construction. Meanwhile, the company provides different design drawings and professional project effect diagrams to its customers. 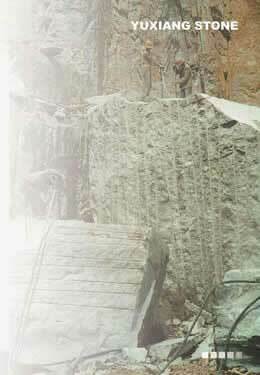 Also, Yuxiang has its own stone quarry featuring with rich resource, huge reserves and stable quality. Taking "Innovation, excellence, and steadiness" as our principle, we highly respect requirements from every single customer with trust and honesty. Welcome to Yuxiang and we are hoping to cooperate and develop with you together. Copyright 2005 Yuxiang Granite and Marble Ind. Co.,Ltd. All Rights Reserved.